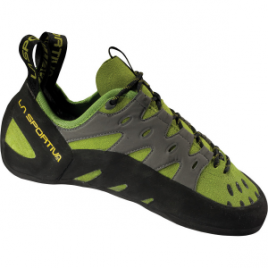 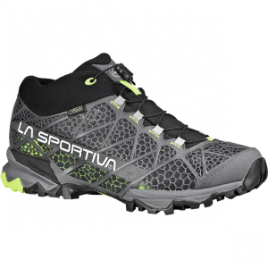 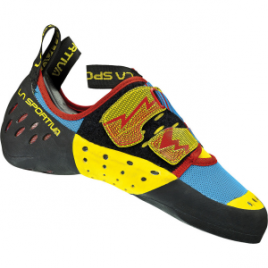 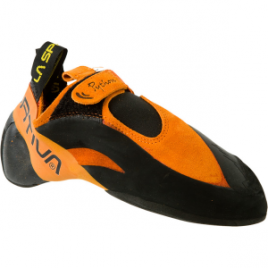 Instead of bending your foot in half while you climb for a few hours, put on the vented, comfortable La Sportiva Nago Vibram XS Edge Climbing Shoe. 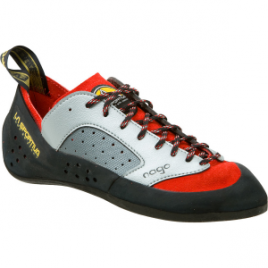 The low-curved, comfortable Nago works well for beginner and intermediate climbers whether you’re on sport routes, faces, cracks, or in the gym. 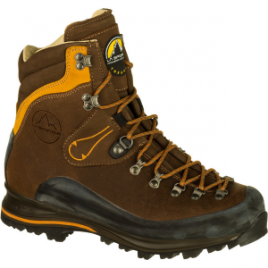 Your ambitious backpacking trip itinerary might fall to pieces without durable, high-top footwear like the La Sportiva Pamir Backpacking Boot. 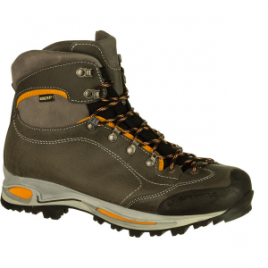 Made with tough, weather-combating leather, this burly boot withstands frequent use and abuse and provides plenty of ankle support for tricky terrain. 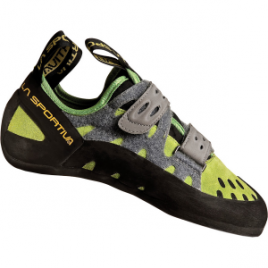 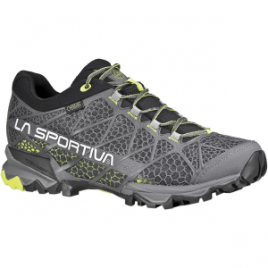 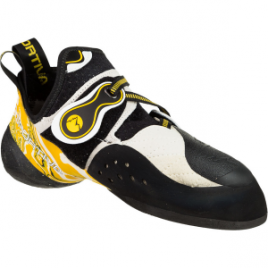 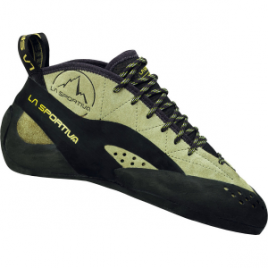 The La Sportiva Python Climbing Shoe with Vibram XS Grip2 sole was engineered to excel in competitions, in the gym, and at the crag. 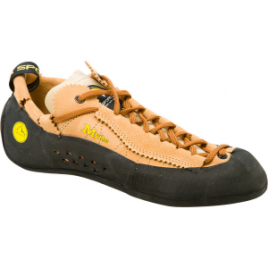 Sticky rubber over the toes and full rubber coverage on the outside of the heel let you step up your footwork a notch for seriously steep routes.